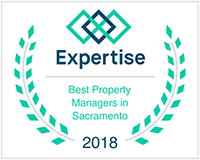 Our professional property management services are geared toward providing you with the information and resources to keep you abreast of all property activity, provide quick and efficient payments and foster clear, concise communication. We focus on effective management tools to enhance our value so that you may rest assured that your investment is well managed. Can a property manager help me find and keep good tenants? Often, good tenants will rent only through a reputable property manager because everything from initially viewing the property, to negotiating and signing the lease agreement, to dealing with maintenance and repairs, to making rental payments is more efficient and streamlined if a professional company located in the area is coordinating the services. Copyright © 2014 Residential Equity Management, Inc.